Something awesome happened in Chicago recently. 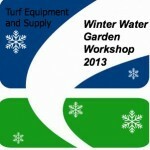 A pond industry event on March 17th and 18th brought together pond professionals from several points around the globe striving to make the most of their businesses and improve their own industry. It was a unique and special event on every level. The event was Chicagomonium hosted by Aquascape Inc. and I have 5000 things to say about it but will try to narrow it down to 3. Adventures in pond building gets taken to a whole new level when Aquascape Inc. is part of those adventures. 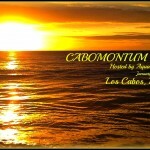 Cabomonium 2013 was quite the adventure and took place from January 13 – 17, 2013 in beautiful Los Cabos, Mexico. Cabomonium is an annual event, hosted by Aquascape Inc., which attracts many of the top talents in the pond industry for 5 days of networking, business building, professional inspiration, creating new and strengthening old friendships. All of this happening in a quaint Mexican resort, Marbella Suites, in the heart of a world class tropical setting. Many industries hold annual events. These events are often times organized to bring together professionals within the given industry as a means to break down “barriers”, build relationships, improve individual businesses, and strengthen the industry. For any industry these events are often critical to the collective success of the industry. Some industries offer larger and smaller events, and regional events; but there is typically one event that will attract all the pros and experts. This type of event, if none other are attended, should be the event that any professional within any given industry should be going to. They should attend if for nothing else than to see how everyone else in their industry is doing and to insure that what they do as a profession is strong and sustainable. 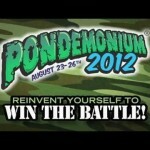 For the pond, water garden, and water feature industry this annual event is Pondemonium. Navy Pier has been an important Chicago landmark for close to 100 years. Located along the shores of Lake Michigan, projecting 3300 feet out into the great lake; Navy Pier is Chicago’s top tourist attraction. 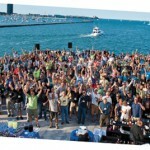 This year Navy Pier also served as the starting point for the watergarden and pond industry’s biggest event PONDEMONIUM! MAN EATING PLANTS IN YOUR POND! 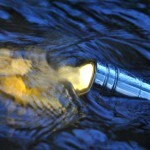 By: Mike Gannon | Posted On: July 20th, 2011 | No Comments on MAN EATING PLANTS IN YOUR POND! PLEASE KEEP YOUR HANDS AND FEET AWAY FROM THE POND! Man eating plants!! Sounds scary, and lucky for us that there are not many plants around that are attacking humans; ‘Day of the Triffids” has long passed us by and all is well between mankind and the plant world for now. 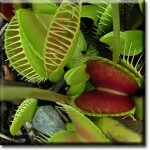 Flesh eating carnivorous plants!! Now here is a bit more of a reality. Even though relatively rare compared to the vast plant groupings out there, the flesh eating plant is not only out there, but may find their way into your backyard pond, and they are nothing to be scared of. Hosted in St. Charles, Ill also known as the water garden capital of the world, from August 5-8 2010; water garden and pond industry folks descended upon this small, historic, and charming town. Pond people running amuck, shovels crossing, dirt flying, water slopping, and fish flopping in the streets…can you imagine!! As most people do in their work lives; I attend seminars, workshops, trade shows and other industry related events when I can. 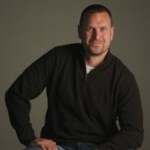 I recently had the occasion to hit an industry event being held by Greg Wittstock “The Pond Guy”. I’ll deny I said this, but I want to turn your pond green. As I try to continually steer Full Service Aquatics towards becoming “greener” in our practices and products I sometimes feel like that goal gets a bit farther away with every step forward, but in a good way.